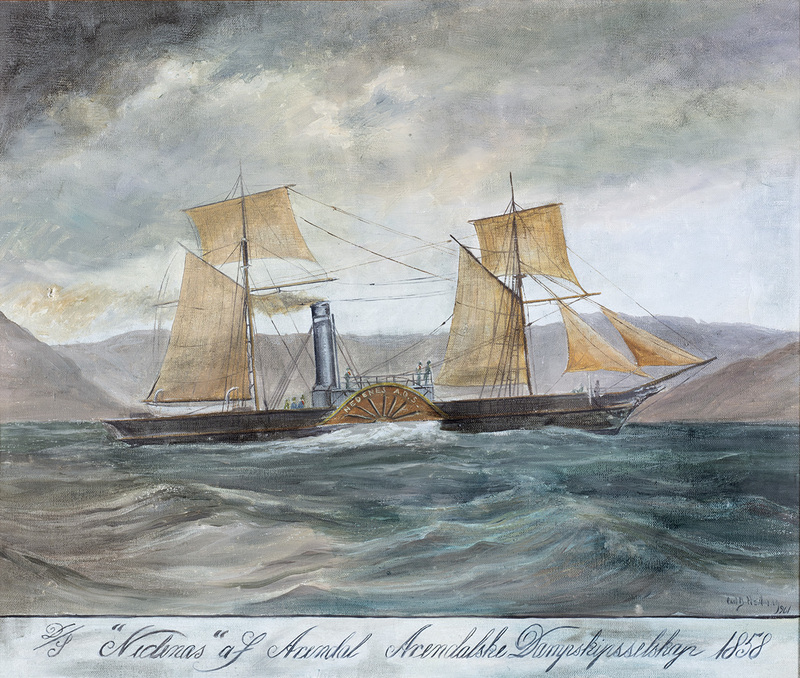 Arendals Dampskibsselskab AS – The Arendal Steamship Company – was established in Arendal in 1857 as a passenger and cargo liner service between Arendal, Oslo and Bergen. 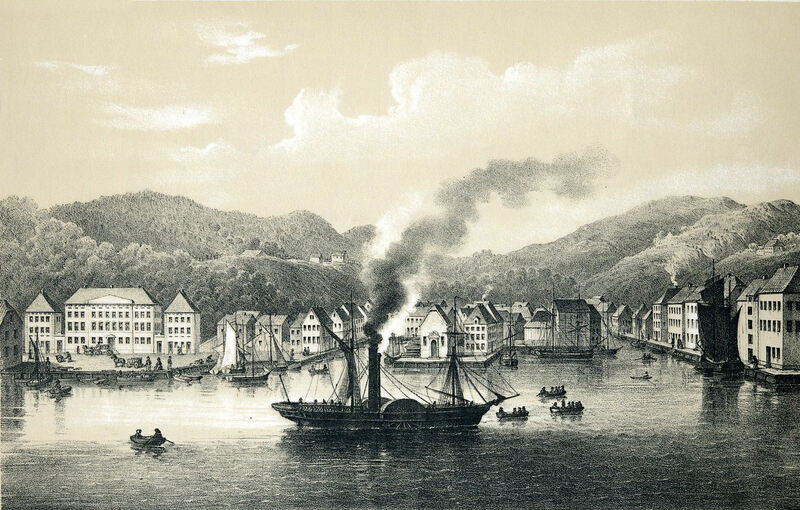 Arendal was at the time a city flourishing on shipping and trade, and ADS was born out of these traditions as well as out of the dramatic transition from sailing ships to steamers at the time. 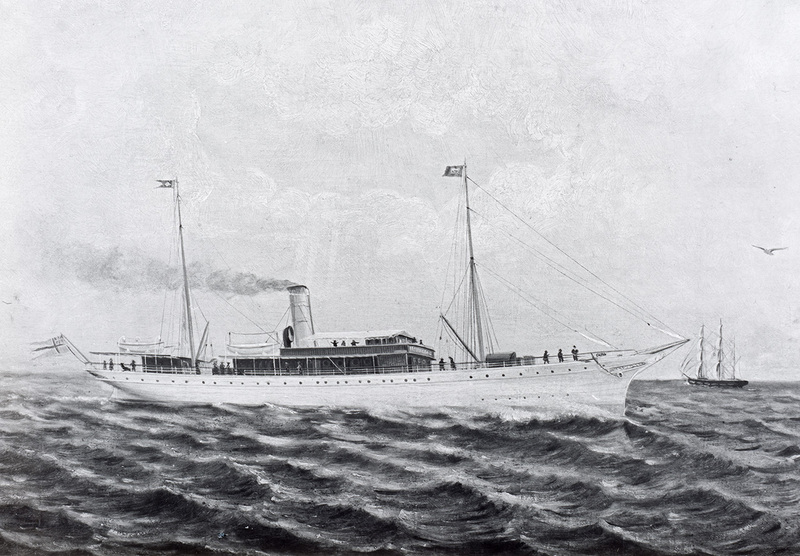 ADS’ first vessel was the paddle-wheel steamer SS ”Nedenæs”, built in Rostock in Germany in 1858. She had a steel hull, measured approx. 70 NRT, was equipped with a 35 HP engine, and had a separate lounge for female passengers. The vessel traded until 1864, when she was sold to another local owner, and then sank after grounding off Farsund, Norway, in 1866. The company then took delivery of the SS “Arendal”, built in Gothenburg in 1865. The vessel had berths for 18 passengers and with a speed of 10 knots and ice class she was a modern vessel for her time. The vessel traded successfully, in particular during the winter season. The sailing ships could not force ice, so “Arendal” was at an advantage in that respect. The vessel was sold in 1877, but continued her service as a liner on the west coast of Norway, and – with some conversions – continued trading until 1971. The 1880’s was a difficult period, and in 1886 several banks, ship owners, and merchants in Arendal were forced to stop trading. ADS was deeply affected by the crash, but the company managed to survive, and already in 1891 the company took delivery of SS “Spero”, designed for international trade. The “Spero” was by the way the first ocean-going vessel ever to call at Iquitos, Peru, in 1894 – more than 3.000 km up the Amazon. A new generation of steamers: SS Dronningen was literally the queen of the Southern Coast: From she was built near Arendal in 1891 until she was sold in 1940 she was one of the flagships of ADS and a well know sight along the coast. In the 1960’s she was still trading between Greek islands as SS “Ionia”. 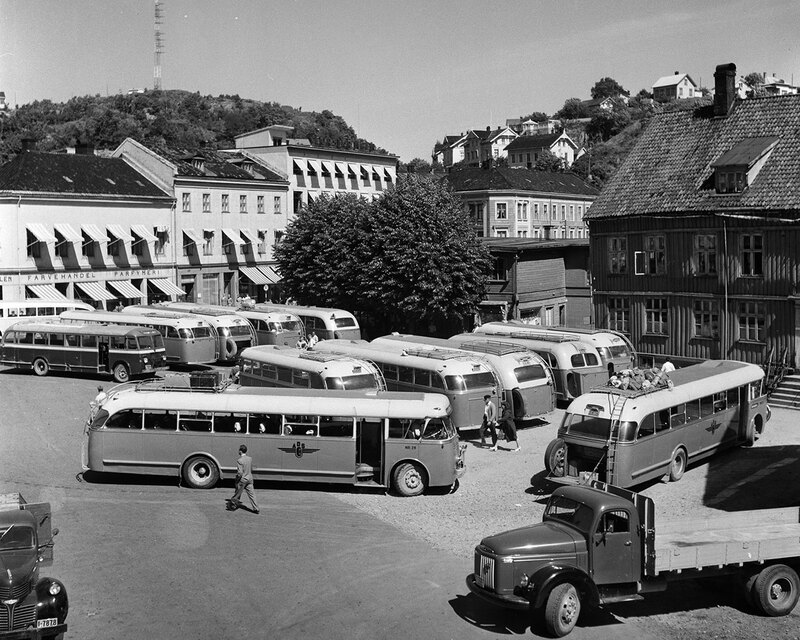 The period between the two world wars were happy years for ADS, and the fleet expanded with a number of newbuildings, including “Tromøsund”, “Arendal” and “Oslo”. 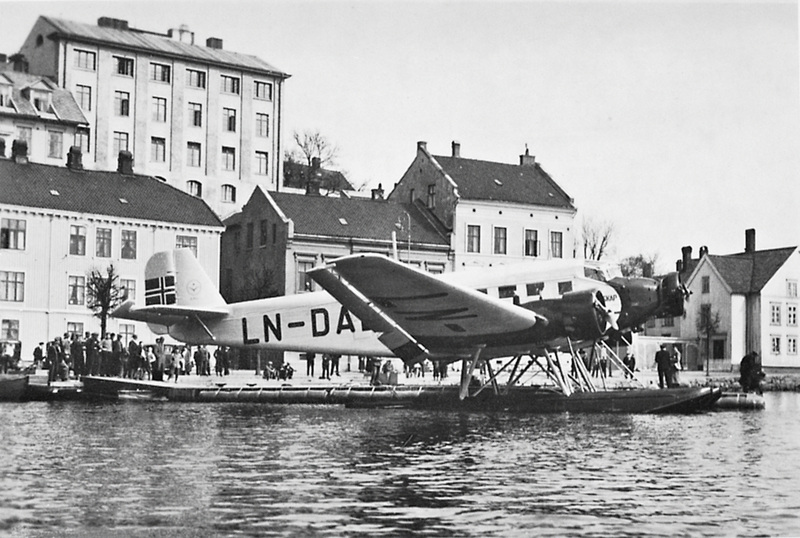 The company also diversified into road transport, as more cargo and passengers shifted from sea to land, and even invested in a seaplane service between Oslo and Arendal. This, however, proved to be a short-lived experience. SS Arendal was acquired by the Government of The Falkland Islands in 1955 and served as a research ship in the Antarctic under the name of SS “Shackleton”. 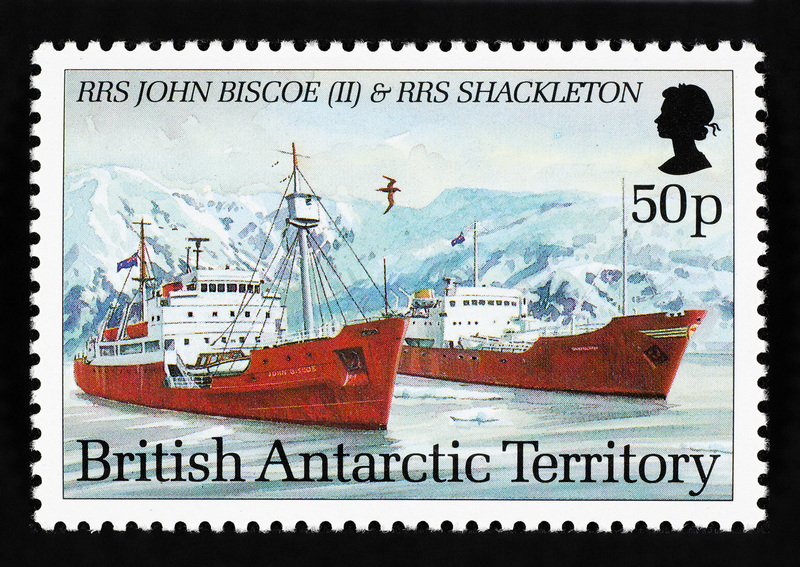 This stamp was issued by The Falkland Islands in 1983 to commemorate 50 years of ships in British Antarctic Research. During World War II the fleet was dramatically reduced. The tragic bombing of MV “Tromøsund” by German forces in 1943, with the loss of the full 26 crew, was the most dramatic episode during the war, but other vessels were also lost. 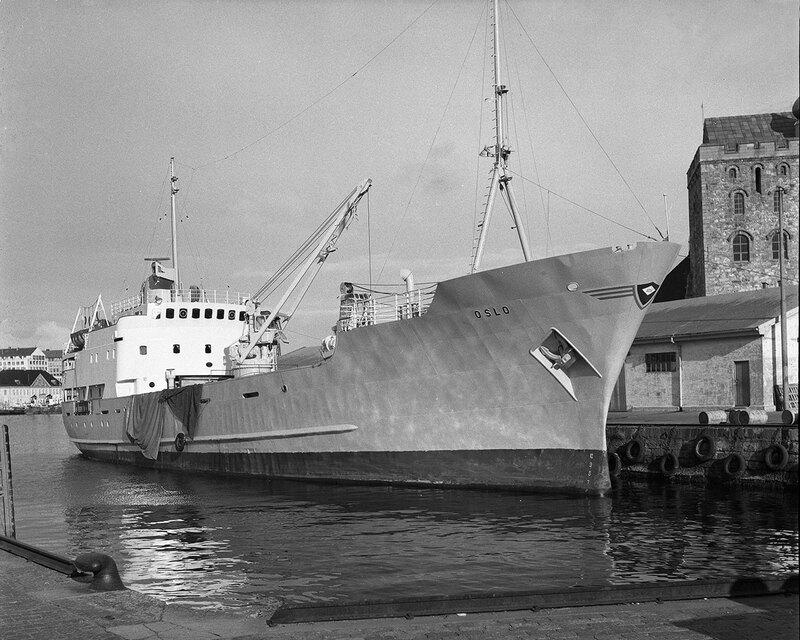 In the post-war years, the local liner service lost much of its importance, and in 1969 the last vessel under ADS flag – the MV “Oslo” – was sold to Canada and renamed “Nordbec”. The company continued as an investor in ships managed by other owners, but focused on land transport for its own activities. In 1986 the company was split up, and the road transport business continued on its own. ADS remained without vessels or other activities. 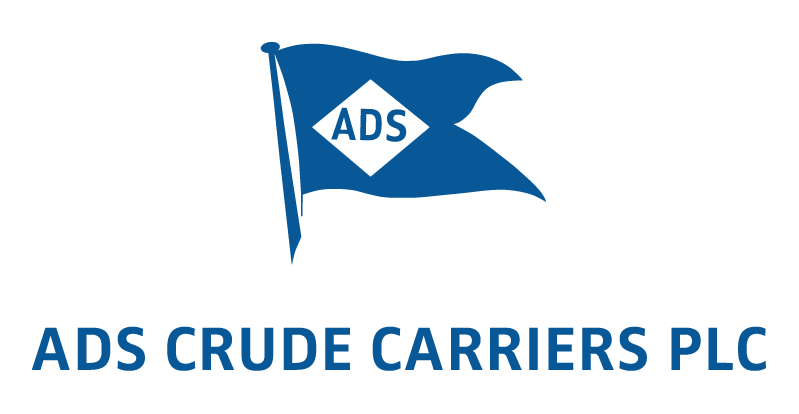 Today ADS is owned by Limassol based Shiphold Limited, through its subsidiary ADS Shipping Ltd.
To celebrate the company’s 125th anniversary, in 1982 ADS published a book providing a review of ADS’s development from 1857 up until then. Please feel free to browse a digital version of the book here.